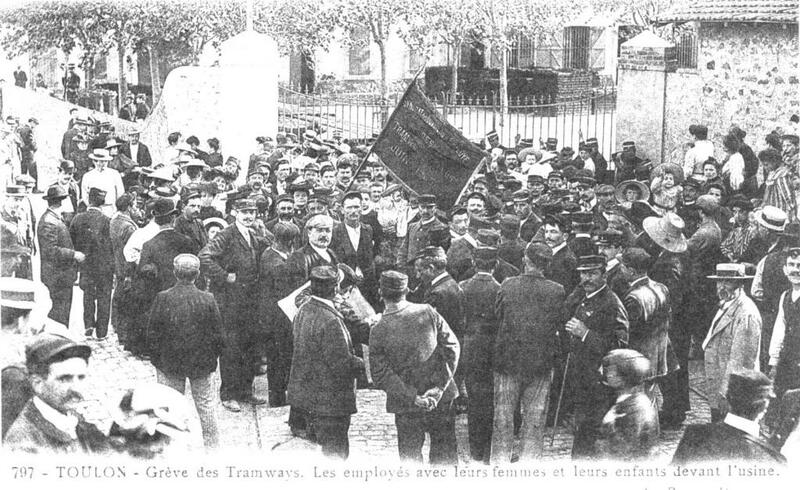 A brief text from 1900 by the French anarchosyndicalist Paul Delesalle on labor and capital, the strike, its origins, and the difference between the “partial” strike for immediate demands and the “general strike” that is the herald of the next revolution. One of the most important and significant facts of our time is undoubtedly the increasingly more active participation of the working class in all the movements on behalf of the moral and material well being of the peoples. The constantly multiplying strikes reach places that had previously been immune to such conflicts, compelling the workers to attend to that feared question known as the social question. Each worker attempts to find remedies or palliatives for his afflictions. Many do not want to go beyond the boundaries of the existing system; but all of them agree that there are a number of economic problems that call for solutions. In order to clearly ascertain the situation of the working class, it is necessary to become familiar with and to understand the nature of the relations that currently obtain between capital and labor. Defined in this way, the history of these relations is simple. In the beginning man, a wild animal, lived like the animals, on roots, fruit and game. Under the spur of necessity he learned to shape matter into tools of labor, which he constantly perfected. Producing only for his subsistence, he set aside a reserve consisting of one part of the product of his labor, which, under the name of capital, would help him to create even more perfect tools. But it just so happened that this capital, instead of being the common and indivisible property of all the workers, was monopolized by the strongest, the most clever, and the most intelligent, just like the raw materials, the soil, the forces of nature and generally all the means of production. It is not hard to understand that the possessor of these means of production is the master not only of production but also of the forces and the liberty of the producers. In a word, when one possesses the machine, one also possesses the worker who makes that machine function. From the day when the means of production became the property of a handful of people who never produced anything or who produced no more than the others, society was divided into two classes. The exploitation of man by man was transformed into a social law and all the institutions that were established to protect society ended up consolidating a state of affairs based on injustice. Revolutions and protests for natural law against social conventions have only changed the name of the exploited class: the slave become the serf, the serf became a wage worker. This change was even disadvantageous for the worker, because the slave belonged to his master, and it was in the latter’s interest to treat his slaves with some consideration, because they represented capital, a form of wealth. Today the worker’s survival is not assured, because the employer loses nothing if one of his operatives dies. The situation of the modern wage labor force is actually equal to that of the slave or the serf of times past. The name has changed, but the thing is the same. The social edifice has also changed its name a multitude of times; but it always ends up being the same, because, despite progress and political reforms, the exploitation of man by man has continued to exist. This is irrefutable proof that when a building rests on rotten foundations, it is not enough to restore the cupola; it is necessary to reconstruct the whole building. This is what all the revolutions of the past forgot. Shortly after the revolution of 1789 and even during the revolution itself, some men began to study and to discover the real causes of economic disorder, and gradually the popular masses became attached to the new ideas, until they cried out: labor must break its chains. Some argued that there are no more slaves and that the wage laborer has never been as free as he is under capitalism. Let us take a look at this claim. The possession of capital is a privilege; human labor—at least in the sense of that long and painful struggle that has to be repeated every day in order to maintain the substance of life—in order to be fertile, needs capital, that is, it needs the labor of yesterday, and we therefore logically deduce that a person who has nothing but labor power is the slave of the person who possesses capital. The political constitutions that claim to guarantee individual liberty are powerless to alter this economic reality. A person who has nothing is compelled to sell his labor-power to the person who possesses the means of making that labor power fruitful. Therefore, when capital becomes the common property of all the workers, and is no longer a personal privilege, liberty will then be a positive reality. It will be objected that the worker, when he offers his labor for sale, can negotiate its price, and he can refuse to provide his labor if he is not satisfied with the price offered by the employer. Let’s face it: it’s hard to go without eating for more than a day. The worker only deprives the employer of his labor for a day and will struggle with hunger for twenty-four hours and will then have to accept the price for his labor that he had refused the day before. The bourgeois, on the other hand, can go for weeks and months before the lack of workers reduces him to bankruptcy and starvation. Without this slight difference the worker and the employer are equals in the light of the famous law of supply and demand. As a result of the positions occupied by labor and capital, it is therefore the case that the possessors of capital have constituted themselves as lenders or else they exploit their capital on their own account, and demand, in exchange for the services that their capital has contributed to general production, a profit that will allow them to accumulate for their benefit the wealth that was due to the combined efforts of labor and capital, and live in more or less total leisure which is contrary to the principle of economic justice. Since everyone must consume, everyone must also produce. Furthermore, the workers, after having produced the capital, must pay the interest and the profit in such a manner that they hardly receive even a small part of the fruit of their labor which is called their wage, while the rest is dedicated under the name of profits, dividends, interest payments, etc., to swell the bank accounts of those who make him work. Now we shall see how the part that goes to labor, to the worker and to the wage labor force, and the part that goes to the capitalist, to the entrepreneur and to the employer, are determined. The capitalists respond: It is the law of supply and demand that determines this distribution, and it is useless to rebel against it; it is a fact of nature. We accept this response with the following amendment: The capitalists have in their hands the social power, and as masters of this power they make the law of supply and demand in such a way that the workers necessarily have to suffer the effects of the law of the strongest; it is definitely capital that fixes the price of labor, and determines the amount of the wage. This is the situation that has been imposed on the working class. Labor is the slave of capital. If we were to live under some kind of system of economic equilibrium, that is, if by means of the organization of labor it were to be possible to establish a statistical control over the operations of the various industries, of supply and demand, the prosperous condition of one industry would never pose a threat to its future or to that of those who earn their living from working in it. Thus, everyone would be kept apprised of the requirements of consumption, of the number of hands employed in production and everyone would know where it would be most advantageous to employ their activity; today, each capitalist expects to profit from a surplus of hands. The manufacturers calculate that by employing a larger number of workers and thereby providing more products for the market they will increase their profits; and this is indeed what happens for a certain period of time; but the products soon begin to accumulate and the manufacturers then impose the conditions that suit them. The workers, for their part, attracted to a certain industry by the good wages it pays, flow towards it thinking that they can improve their situations. But the surplus of hands immediately forces them to moderate their demands; wages fall, and some of the workers are forced to look for work in other regions, where life seems easier, and then these regions in turn lose the prosperity that they enjoyed. An industry produces only by and for speculation, flooding the market, as everyone knows, with inferior products; then a political or economic, or simply speculative crisis breaks out, and soon results in the most appalling poverty. Few are the industries that have not undergone these periods of flourishing and decline. It is the characteristic trait of our capitalist regime. As long as the equilibrium between production and consumption is not assured, an industry cannot function in a regular way, and what will constantly happen can be predicted. Financial and mercantile speculation today provoke an abundance of job opportunities; tomorrow the whim of a speculator may bring this period to an end and provoke an industrial crisis. In that case, the workers have no other recourse but to oppose the calculations of the speculators. This has been taking place for a long time in the countries with the most highly-developed industries, where the relations between capital and labor, between the employers and the workers are most embittered. In these countries, the workers have opposed the economic war waged by the bourgeoisie with the energetic defense of their right to exist. The strike, which is the fruit, not as the bourgeois economists say, of the caprice of the workers or of the provocations of intellectuals, but of a state of affairs based on the antagonism of economic forces, often compels the employers to deal with the workers. Unproductive struggles, however, have caused the workers to understand that when they obtain some improvements, they are instantly taken away from them again, for a lack of means to defend their conquests. This is due to the fact that capital, at the same time that it has to wage constant war against labor in order to make as much profit as it can, is also subject to intestine conflict on the market. In our society of absolute individualism, capital tends to be concentrated in a small number of hands, with big capital absorbing small capital, a battle whose costs are ultimately paid by labor. The declamations made against the strike, that social ulcer that demoralizes the worker, wrecks the relations between the employers and the workers, etc., by the bourgeois ideologists and economists, are hypocritical jeremiads. Here we must not refute these outbursts of sentimental nonsense on the part of people who are interested in preserving the current order; what we, the workers, must do, is examine the strike in order to determine if it is really the consequence of the economic state of war in which we live, and, finally, if it can bring about a change in our position. It is admitted that every employer has the right to refuse to hire a worker who would not produce sufficient profit for him; with this admission one concedes to the bourgeois the right to strike against the interests of the worker, and he makes full use of this right; but, due to a flagrant contradiction, we observe that this so simple right that is granted to the employer, is denied to the worker. A worker who does not accept a job because the conditions are not good enough for him, is a bum, a loafer, or any other insulting name you care to give him; if he goes on strike, he is a revolutionary, or an anarchist. In reality, however, as we said above, the strike is nothing but the consequence of the economic state of affairs under which we live. In the antagonism that exists between capital and labor, it necessarily results that both seek to obtain the greatest sum of production for its own side; capital, in the form of higher prices, and labor in the form of higher wages, and hence the continuous, inevitable war. The strike, then, is a state of war in which capital and labor are engaged. When these two elements are united, when the labor of yesterday, instead of forming capital, constitutes labor, that is, when capital ceases to seize a part, regardless of how much, of today’s labor, then the strike will disappear from society, just as the political war waged for the federation of the people freed from tyrants and exploiters will also disappear. Until then we must consider the strike as a protest of the worker against the bourgeois. Does this mean that the partial strike can bring some benefit, some improvement for the working class? We do not think so, given that the employers, at a favorable moment, can take back from the workers what they had previously conceded to them. The history of the most important strikes is there to prove it. Besides, we know quite well that if wages were to rise in all industries, in all the sectors of human activity, the workers would give back to the capitalist whatever they obtained from the increase in wages, through consumption. When the workers go on strike, driven by poverty, they do not calculate all the probabilities of the future; they only act in the pursuit of their immediate needs. If the strike is victorious, it produces a temporary rise in the workers’ standard of living; that is its goal, its only goal, and we should not nourish any illusions about this. If the strike is defeated, both the immediate as well as the future needs of the workers suffer a setback. The strike, however, promotes a state of rebellion. As in all popular movements, the worker acquires a firm grasp of the role of the machine that he operates for the benefit of the capitalist. The strike could be the spark that heralds the revolution. If all the revolutions that have taken place in the past have only been political revolutions, the one that we are preparing for must be above all an economic revolution, one that is called upon to transform the system of production and exchange. Under these conditions it will be of benefit for the workers. We are also sure that in order for the next revolution to be fruitful, it will have to begin, not in a political movement, but in a purely economic movement, in a general strike. This is what we propose to study from now on.